As Tears Go By is Wong Kar Wai's first film, and it's a classic of 80's-early 90's gangster/triad film. It's obviously inspired by Martin Scorsese's 1973 film Mean Streets. The film begins with Ngor (Maggie Cheung) going from her home on Lantau island (part of Hong Kong) to Hong Kong Island (although where exactly is never said) to stay with her distant cousin Wah (Andy Lau, who you may know from Infernal Affairs). She's sick and needs to see a specialist in Hong Kong, but Wah is no help because he sleeps most of the day. He's a night owl who does most of his business in the evenings. Night owls became a common characteristic among WKW's stories. Ngor is from Lantau Island, which to this day is thought of as a rural village, or countryside, about an hours ferry ride off Hong Kong Island (at least that's by today's ferry rides). Their eventual romance (distant "family" in Chinese culture, is far more distant than we think of in western culture), is made more of a forbidden romance by the fact that he's a tough city dweller and she's considered a country small town girl. His friend, Fly (Jackie Cheung) is out collecting a debt from someone named Fat Karl, but nothing ever goes nice and easy with Fly. He isn't really a tough guy, and most people (Fat Karl included) don't take him seriously. He likes to act much tougher than he really is. Wah has to go take care of things and get him out of trouble. Their gang's ranking system involves younger members showing respect to their older members by referring to them as "big brother." The older "brothers" are in charge and are responsible for looking out for their younger "brothers." "Little brother" happens to be both a way for the leaders to refer to their subordinates and a comical slang for male genitalia. In these gangs, you give up your biological family, and fellow gang members become your new family. You're expected to give everything to the gang. Respect for fellow members of the gang, particularly older members of the gang is also of paramount importance. As with any gangster film like this, maintaining reputation, and saving face is also of paramount importance to these people. In fact all Fly seem interested in is what other people think about him, and trying to "make it big," is only partly about the money. This desire, of course, gets Fly into a lot of trouble. He oversteps his bounds too much, too often trying to make a name for himself. Getting into trouble means Wah has to bail him out, not just out of responsibility, because he is his "little brother," but mostly out of loyalty to his best friend. In a nutshell the situation in this film is as follows: When Fly gets hurt Wah goes and gets revenge. The other gang members of course respond in kind, and a nonstop back and forth battle ensues. Fly plans a shabby rooftop wedding banquet for his fellow friend and gang member, but most people (including the groom's in-laws) object to it. He pays for it by borrowing from Tony, a "big brother" of another powerful gang. When Tony wants him to pay up, Fly doesn't have the money. Wah tries to make a deal with Tony to postpone the payments. However, Tony won't accept, so they make a violent break for it. The two groups go to their "godfather" to settle things. The godfather forces them to settle their differences with a handshake and get back to business as usual. He warns Wah that Fly is a ticking time bomb, and that he should find him a little job somewhere and try to keep him out of trouble. To that end, Fly is unhappily forced to work at a lowly food cart in the street. He finds it embarrassing, and definitely damaging to his pride. Tony and his gang find him working the cart and humiliate him. To get his revenge, Fly takes his anger out on Tony's car, but when he's caught they nearly beat him to death. The romance between Wah and Ngor I mentioned earlier, seems a little out of left field. However, romantic drama is Wong Kar Wai's specialty so it makes sense to see it worked into this film. Also, if you're aware of the cultural situation between what we think of as "city dweller" and "country girl," it's a little more beautiful. However, instead of Wah desiring to leave his dangerous life behind and settle on Lantau Island with Ngor, he asks her to leave return to Hong Kong Island with him. It would have made it that much more tragic if he'd have shown more signs of wanting to leave his current life behind. 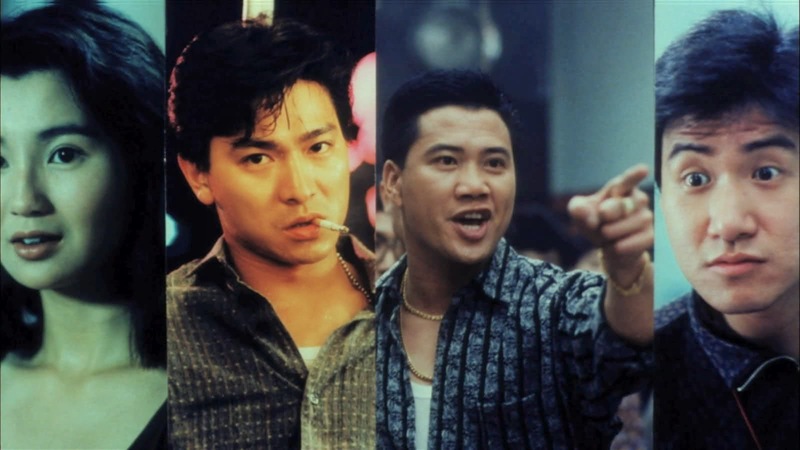 While Ngor and Wah's love story isn't all that strong (by Wong Kar Wai standards), the friendship between Wah and Fly and their struggles against the other gang is the stuff of good gangster films. This being Wong Kar Wai's first film he possibly hadn't discovered "his style," because, stylistically this is hardly even recognizable as a Wong Kar Wai film. It is still a solid film nonetheless, and one of his most successful films at the box office. In fact up until The Grandmaster (2013) it was his most successful film at the box office (at least in Hong Kong). Fans will no doubt recognize a few of his trademarks in the film, from the style of his action sequences, that are slowed down and look like we're watching through a strobe light, to on location shooting, and at times, naturalistic dialog that often becomes very poetic at others. However, noticeably absent is his tendency to develop characters with narration. Another of the primary differences is that it's one of WKW's few films not to have been shot by Christopher Doyle. That could account for stylistic differences. 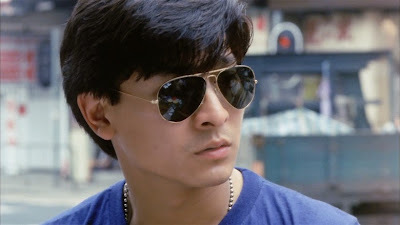 Interesting tidbit: Andrew Lau Wai Keung, who served as cinematographer on As Tears Go By (as well as part 1 of Chungking Express), became a director himself and went on to direct Infernal Affairs (starring this film's star Andy Lau), which was later remade by Martin Scorsese as The Departed. So Scorsese inspired WKW to make As Tears Go By (similar to Mean Streets), and later his cinematographer would go on to inspire Scorsese to do something similar. I present to you, the circle of life. Perhaps it's also the subject matter, but As Tears Go By is the least Wong Kar Wai of all of Wong Kar Wai's films, and yet it's still a pretty good film in its own right. It's just one of several genre's WKW has worked in, but I'll get more into that in another post. Normally I'd say it only takes watching a handful of films from any one director to get a sense of their style in order see what they're all about, and perhaps that's also the case for WKW, but As Tears Go By would be one of the films that diverges a bit from what would become his signature style. Also of note, the film is named after The Rolling Stones song of the same name. It's another example of his fascination with the 60's and in some way, shape or form his use of music from the 60's in his films.